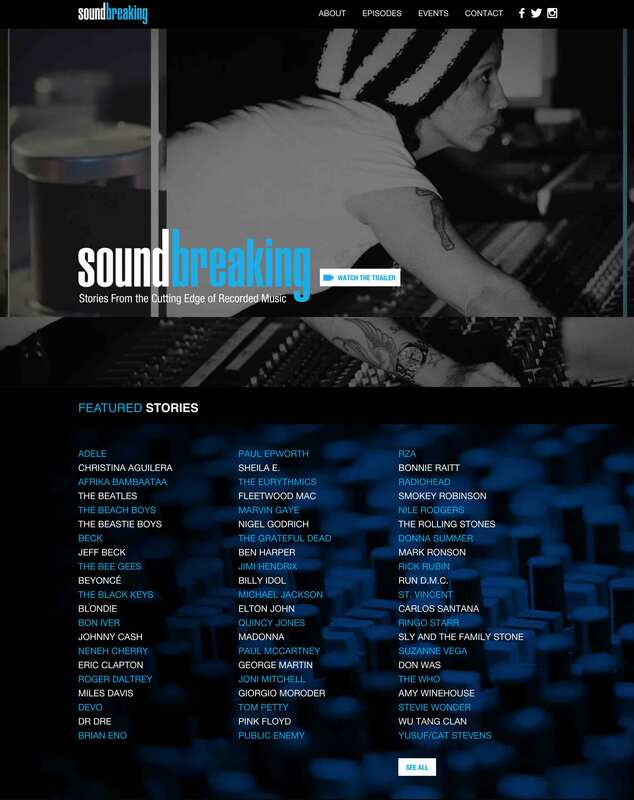 The PBS documentary series Soundbreaking, which debuted at SXSW in 2016, required a high-impact web presence to complement the dizzying array of stars who appear on the show. We teamed with Show of Force and designer Scott Moe to build a site that introduces potential viewers to its core concepts, all told through stunning photography, episode recaps, an events calendar, and more. Further down the page is an intuitive carousel that scrolls through each episode of the show and an important Upcoming Events calendar, which allows the makers of the show to highlight screenings and other important occasions in the build-up to the PBS premier of Soundbreaking. Music has been a constant in human history, an intermingling of voice and instrument that for all its local variation and increasing sophistication nevertheless endured in more or less the same form for centuries. Then came recording–and music was forever transformed. These two listings pages are designed to keep viewers of the show completely informed of both its content and availability. Events are programmed to expire as they pass, and the page is carefully constructed to allow any updates or special information to be added as the calendar fills out. The Episodes page offers a simple run down of the eight episodes the show contains. 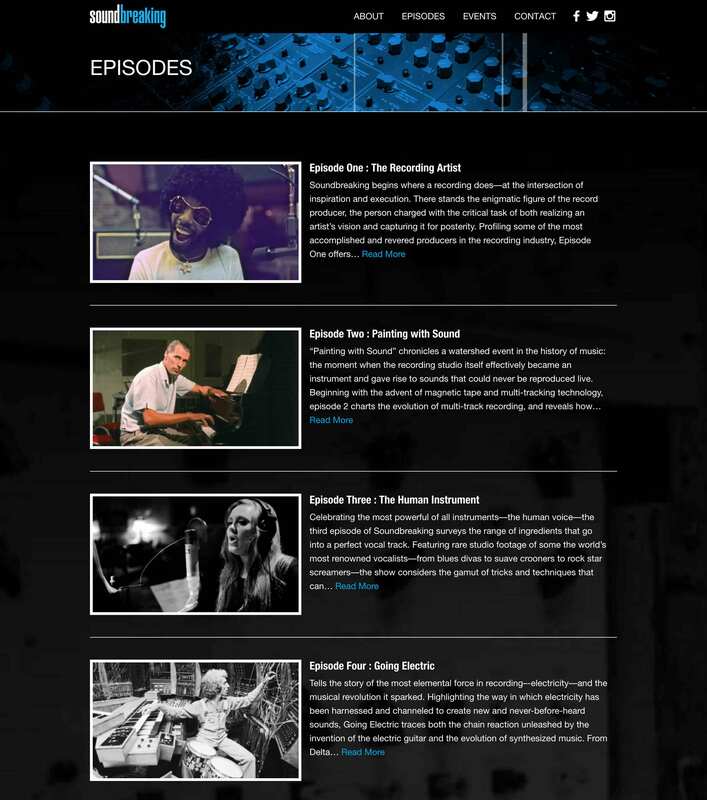 Clicking on one takes you further into the Soundbreaking world, with professional photography, lists of artists and songs involved, and information about the episode all included.